Fethard Ballroom, originally the Capitol Cinema which first opened in January, 1946, was converted to a ballroom in 1967 when acquired by a group of local business people know as, ‘Fethard Enterprises’, headed by Paddy O’Flynn, and officially opened in December of the same year as the ‘Capitol Ballroom’. Since then it has seen many changes but has always retained its Ballroom status – whatever about the ‘Romance’. In 1972, Wexford business man Danny Doyle purchased the hall, renamed it as ‘The Country Club’, and added Fethard to his list of 14 other hugely successful dance halls run by him in Ireland at that time. As the golden ballroom dancing years ebbed, Danny Doyle closed the Fethard ballroom in 1988 and put it up for sale. The ballroom was left derelict for some years before community action ensured it would survive as one of the few remaining ‘Ballrooms of Romance’ left in Ireland. In 1992, after much haggling, the Ballroom was purchased by Fethard & Killusty Community Council and, with a tremendous community effort, was re-opened as a community facility on March 17, 1993. 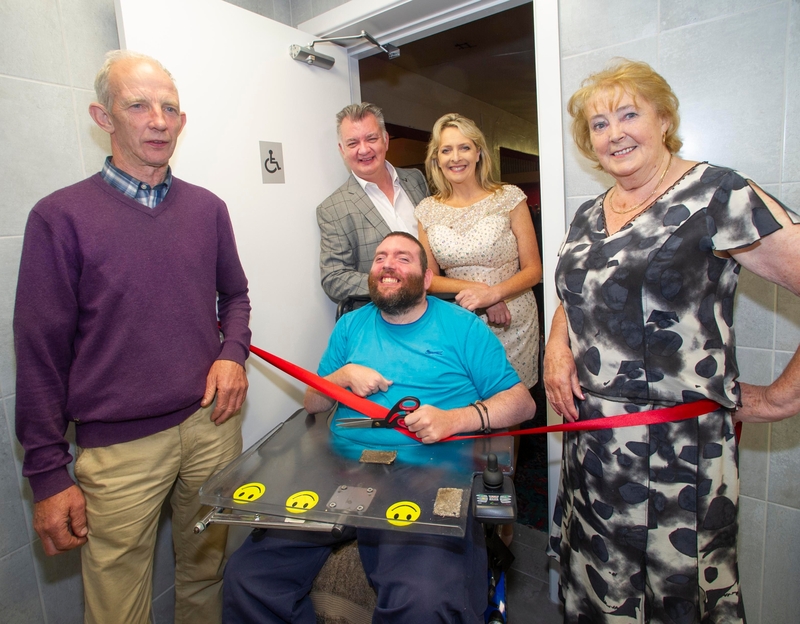 Jack Kenny, cutting the ribbon to official open Fethard Ballroom's new fully equipped wheelchair toilet on Sunday night last, July 15, at their weekly social dancing night. 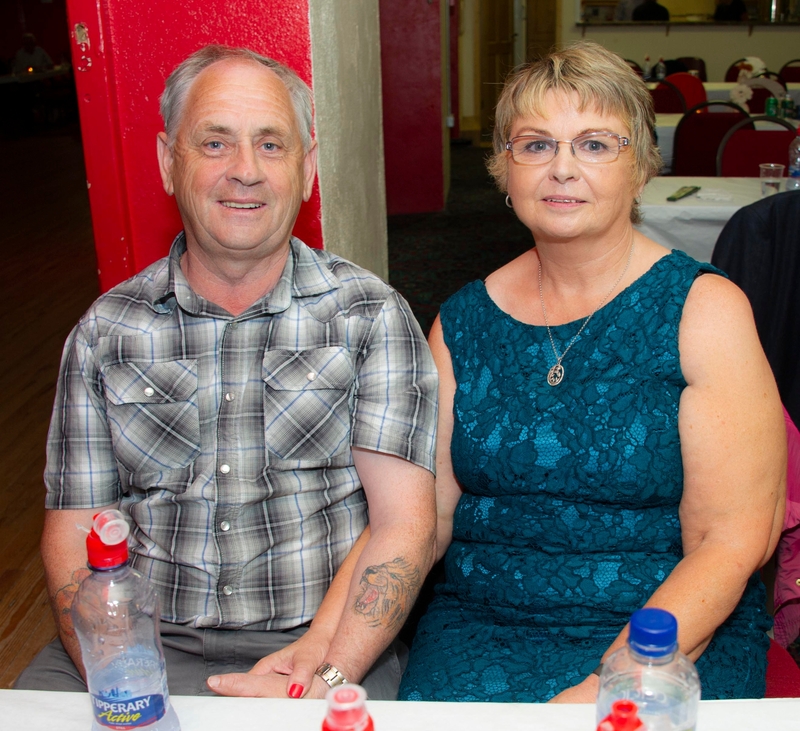 Photographed with local wheelchair user Jack are L to R: Seamus Barry, Chairman Fethard Ballroom, the extremely popular duo, Fran Curry and Muriel O'Connor, who provided the music on the night, and Eileen Coady, Ballroom Treasurer and Bookings Tel: 086 0776420. Today, 25 years later, the Ballroom has continued to flourish as a fantastic venue for social dancing. It is still run by a changing but dedicated group of community volunteers that maintain this hugely beneficial community asset used continuously for a variety of functions. Every Sunday night, social dancing attracts visitors from all over the South-East to come along and dance on the spacious dance floor and listen to some of the ever-popular dance bands from far and near. As the love of country music and social dancing continues to grow, the committee have responded with refurbishing the hall to the highest standards while retaining a friendly and social environment that ‘romance’ at all ages can flourish. On Sunday last, Holycross had almost 9,000 dancing in the rain to country music, back in Fethard Ballroom, dancing also continued on Sunday night, without the rain, to the wonderful music provided by ‘Muriel O’Connor and Fran Curry’. At the usual tea and refreshment social break between dancing at 10.30pm, the ever-working committee officially opened their new fully-equipped wheelchair toilet. Enjoying the social dancing at Fethard Ballroom last Sunday night were John Joe Turner and Margaret Turner from Cashel. Congratulations to all involved and to a fantastic facility that has stood the test-of-time through generations of dancers and lovers of all ages.